Wineries are offering more than vineyard tours, tasting rooms and art collections. Now, you can slake your thirst for adventure as well. Vineyards are beautiful, and enjoying wines in a tasting room that is a stone’s throw from where the wines were made is a splendid experience. But as wine country excursions grow in popularity, the range of experiences being offered is also expanding. 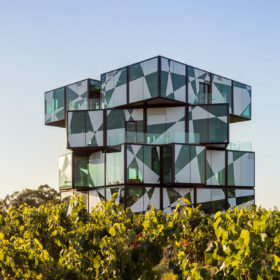 Increasingly, wineries are opening their grounds to active pursuits that in many cases have no link to wine or food, from hiking and bird watching to paragliding and bungee jumping. Call it an all-encompassing sensory experience. Here are some of the most intriguing winery activities from around the world. Topknot Hill / Wild on Waiheke (Waiheke Island, New Zealand). Located 35 minutes by ferry from Auckland, this winery’s experienced instructors and modern equipment help archery participants get on target quickly. The multiactivity complex also offers electronic laser clay-bird shooting (trap shooting). Like most Waiheke wineries, Topknot Hill earns distinction for its Bordeaux-style reds. It also has a brewery (Waiheke Island Brewery) that crafts five beers. Fattoria del Colle di Trequanda (Tuscany, Italy). Straddling the Chianti and Orcia DOC regions, the estate surrounds a 16th-century villa built by ancestors of Donatella Cinelli Colombini, the current owner. In summer, guests at the 19-room inn test their archery skills in the Fantabosco—a fantasy forest with trees dedicated to themes such as “fear, sounds and dreams.” Guests can also pedal off on mountain bikes or trek through vineyards and the surrounding countryside. The winery is known for Cenerentola (Cinderella), produced from Sangiovese blended with the indigenous Foglia Tonda variety. It also produces Chianti and Vin Santo. Van Asch Wines / The Winehouse (Gibbston, New Zealand). Do you fancy a little terror along with your terroir? Then check out this cellar door and restaurant adjacent to the birthplace of bungee (or bungy, as it’s spelled here): Kawarau Bridge. From this spidery span, thrill seekers launch themselves 140 feet down to (or into, on request) a fast-flowing river. Namesake owner Henry van Asch co-founded AJ Hackett Bungy in 1988; he took the plunge into the wine industry in 1993. Tasting room staff suggests that you bungee first and sip their signature van Asch Pinot Noir wine later. DelFosse Vineyards & Winery (Faber, Virginia). Open to mountain bikers and hikers Wednesdays through Sundays, a 5.5-mile trail loops around massive boulders, through stately forests and alongside a placid lake, perfect for picnics. Nestled in a valley at the foot of the Blue Ridge Mountains, the property is a 30-minute drive from Charlottesville, in the Monticello AVA. Notable wines include Réserve d’Oriane, a blend of Sauvignon Blanc, Chardonnay, Petit Manseng and Viognier. The full-bodied Petit Verdot is also emerging as a star. BYOB (Bring Your Own Bike)—none are available for rent at the winery. Challenger Ridge Vineyard & Cellars (Concrete, Washington). Each winter, one of the largest concentrations of bald eagles in the Lower 48 gathers along the Skagit River. Even from the tasting room, visitors can sometimes spot mated pairs of eagles. In January, Challenger Ridge hosts an Eagle Festival highlighted by river float trips to view the magnificent birds. Located 100 miles northeast of Seattle, Challenger Ridge occupies a 67-acre estate with 16 acres planted to Pinot Noir. It also offers camping in the vineyard—the cost is the purchase of a bottle of wine per night, per adult, per campsite. Castel Camping du Domaine de Massereau (Sommières, France). Let their vineyards be your home—or campsite—at this open-air hostelry in the Languedoc region. The property sits amid 100 acres of vines grown by the Freychet family, which has owned the estate since 1804. Accommodations range from cabins (complete with air conditioning and dishwashers) to camper vans to sites for RVs or tents. Amenities include a large, heated pool with waterslide, bike trails and pétanque. The estate adjoins the Domaine de Massereau winery, which offers tastings and tours of the caves for guests. Waitiri Creek Wines (Gibbston, New Zealand). Better known for bungee jumping and jet boating, Kiwis also pursue passions of the British Empire; notably, cricket. Try to stump the batsman at Waitiri Creek’s groomed cricket pitch, ready for guests to use anytime along with wickets, bats and balls. Prefer wheels to wickets? Go mountain biking along the Kawarau River on the new Gibbston River Trail (GRT), which starts from the winery’s parking lot. Trap shooting can also be arranged. Set in a converted 1893 church, the tasting room provides a picturesque setting for enjoying fine Pinot Noir from Central Otago. Holman Ranch (Carmel Valley, California). This 392-acre estate once served as a hideaway for Hollywood celebrities like Charlie Chaplin, Clark Gable and Marlon Brando. Now owned by the Lowder family, it includes 20 acres of vineyards planted to Pinot Noir. The property runs the only open-to-the-public trail rides in Carmel Valley, traversing rolling hills, vineyards and olive groves. For equestrian enthusiasts, the facility also offers lessons in jumping, dressage and Western-style riding, along with boarding. Bodega Colomé (Salta Province, Argentina). Founded in 1831, Colomé is the oldest active winery in Argentina, and its vineyards are among the highest in the world, at 6,000 to 10,000 feet in the Andean foothills. Guests at the winery’s associated hotel, the Estancia Colomé, can explore the high desert landscapes mounted on magnificent Peruvian or Criollo horses. Bodega Colomé is biodynamic and focuses on Argentina’s two traditional varieties, Malbec and Torrontés. Viu Manent (Colchagua Valley, Chile). Considered one of Chile’s premier winegrowing regions, the Colchagua Valley lies 80 miles southeast of Santiago. The winery offers polo, horse jumping and equestrian tours through the vineyards led by a guide who explains the winery’s history and eco-initiatives. The saddle-shy can experience the property via horse-drawn carriage. Owned by the Viu family, the winery specializes in Malbec and Malbec blends. King Estate (Eugene, OR). Encompassing 1,033 acres, this beautiful property, best known for its Pinot Gris and Pinot Noir, includes 470 acres of organic vineyards. Raptors—birds of prey such as owls and hawks—fine-tune the ecosystem by reducing the numbers of rodents and birds that gobble grapes. King has installed nesting boxes and predator perches. In addition, the winery has established a partnership with Cascades Raptor Center, which brings in its “resident raptors” for demonstrations. Sonoma County Vineyard Adventures (Sonoma County, California). Get out among the vines on self-guided explorations offered at nine wineries in Sonoma County. Suited to people of all ages, tours vary in length, but none are longer than a mile. The vineyard adventures are free; wineries determine tasting fees. Participating locales include Balletto, Francis Ford Coppola, Landmark, Matanzas Creek, Mauritson, Michel Schlumberger, Paradise Ridge, Schug and Stryker. Tyee Wine Cellars (Corvallis, Oregon). For more than 120 years (and five generations) the Buchanan family has farmed these scenic lands in the Willamette Valley. The 1.5-mile Beaver Pond Loop Nature Trail winds through vineyards, hazelnut orchards, ancient oak trees and wetland meadows. Picnic tables await at vistas along the trail. Tyee’s limited-production estate wines include Pinot Noir, Pinot Gris, Chardonnay and Gewürztraminer. DuCard Vineyards (Etlan, Virginia). The Appalachian Trail stretches nearly 2,200 miles from Maine to Georgia. In Virginia, it passes through Shenandoah National Park and along the Blue Ridge Parkway. Bordering the Park, dog-friendly wineries DuCard and nearby Sharp Rock Vineyards have teamed up to create the Foothills Scenic Wine Trail. Popular day hikes in the area include Old Rag Mountain (affording 360-degree views) and the White Oak Canyon trail (passing waterfalls). Afterward, visitors can sit on the winery patio and sip an elegant Viognier or rosé. Kunde Family Estate (Kenwood, California). Take your four-legged friend on “dog hikes” led several times a year by fourth-generation winegrower Jeff Kunde. Moderately strenuous, the route climbs from the Sonoma Valley floor to 1,400 feet above sea level in the Mayacamas Mountains. The experience concludes with wine tasting and lunch (with a water bar and treats for canines). Rambling solo? The Humane Society brings adoptable “loaner” dogs on hikes—and many have bonded with new owners on the spot. All Kunde wines are estate-grown and sustainably farmed. A note for movie buffs: Many scenes from Bottle Shock were filmed on the property. Stoller Vineyards (Dayton, Oregon). Amp up your Frisbee aim with disc golf, in which players throw a flying disc into a basket or at a target. The competitor who completes the course in the fewest number of throws wins. Located on 400 acres in the Willamette Valley, Stoller features a nine-hole disc golf course as well as bocce and sling ball. Adirondack chairs positioned throughout the property encourage guests to admire views of the Dundee Hills and Mt. Hood. The property offers three vacation homes for rent. Stoller produces estate-grown Pinot Noir and Chardonnay. King Family Vineyards (Crozet, Virginia). The sport of kings is also the pastime of the King family. Their namesake winery in the foothills of the Blue Ridge Mountains doubles as home to Roseland Polo. Every Sunday at 1:30 pm, the property hosts free polo matches (Memorial Day through September). Visitors are encouraged to bring picnics, though only the host’s wines are permitted; especially chukker-friendly are King Family’s Viognier or rosé. LongSword Vineyard (Jacksonville, Oregon). One-up your friends when they chat about “wine flights” and soar high over the Applegate Valley on a tandem paragliding adventure with instructor Christian Rossberg, the experienced owner/instructor of Wild Wild West Paragliding. Flights take off from Mt. Woodrat and touch down at LongSword Vineyard where winds are predictable—and everyone landing is offered a glass of wine. LongSword favorites include Syrah and a semisparkling Chardonnay. Cana’s Feast Winery (Carlton, Oregon). Among the oldest pastimes known to mankind, bocce dates to at least 5000 B.C., when Egyptians played a form of the game with polished rocks. Cana’s Feast Winery offers two bocce courts with views of the Willamette Valley and Coastal Range mountains. In summer, a bocce league plays every Thursday night; guests can watch from the terraces and play when substitutes are needed while enjoying the winery’s Sangiovese Grosso and other Italian varieties. Cana’s Feast also is the first Oregon producer of Chinato—Nebbiolo-based wine infused with herbs, flowers and other botanicals. Raymond Vineyards (St. Helena, California). This Rutherford estate was established in the early 1970s, making it one of the pioneers in the region. Its bocce ball and pétanque courts, open to guests year-round, lie in The Grove, a family-friendly area where visitors can play badminton, basketball and croquet, or grill food on the winery’s fire pit. An iconic producer of Cabernet Sauvignon, Raymond practices organic and biodynamic viticulture. Its resident working menagerie includes goats and sheep (for weed control) as well as chickens (bug busters). Quinta Nova (Douro, Portugal). At this grand estate—built around an 18th-century winery and manor house—participants work with GPS and a map of coordinates to track down troves of wine hidden in the vineyards, a great way to experience the region’s distinctive patamares (terraces with stone retaining walls). Guests at the 11-room hotel can also explore the property by mountain bike or on foot along five miles of tree-lined paths that lead to a stream, olive press and chapel. Quinta Nova produces both Port and still wines made from traditional varieties. William Chris Vineyards (Hye, Texas). No, this does not require rolling your Maytag. Similar to horseshoes, the game involves tossing washers (two inches in diameter does nicely) about 20 feet into a hole in a pit. Located in Texas Hill Country, William Chris has a playing area next to a century-old farmhouse that serves as the tasting room. All wines are crafted from 100% Texas grapes; best known is Enchanté, a blend of Malbec, Merlot and Cabernet Franc. Warwick (Elsenburg, South Africa). On gourmet picnics, enophiles hunt for a different breed of Big Five: Cabernet Sauvignon, Cabernet Franc, Merlot, Pinotage and Sauvignon Blanc. After touring the vineyards via Land Rover, guests tuck into lunch at scenic spots, from rolling lawns to mountainside vineyards. Safari camp tents along the property’s lake evoke an African vibe. Set on a farm dating to 1771 and now owned by the Ratcliffe family, the property is located near Stellenbosch. For more wine country hikes, click here.